Business Analysis is fundamental to business process improvement and the successful definition of system requirements to support business processes. If this role is entrusted to untrained BAs, Subject Matter Experts or business managers, the results can be problematic, even resulting in project failure. According to 10 years of industry data, poor business requirements has been identified as the main culprit in more than half of project failures*. As specialists in Quality Assurance, our Business Analysis training has a strong focus on ensuring project quality through effective BA practices. 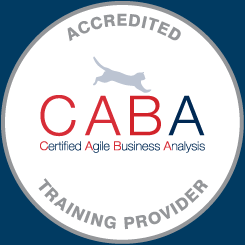 Planit is at the forefront of BA training, being the first to introduce ISEB, BCS and Certified Agile Business Analysis accreditations to the region. In fact, we remain the leading provider of these certifications in Asia Pacific. Each of our BCS courses independently certify your BA skills, while also contributing to the BCS International Diploma in Business Analysis. This Diploma can be achieved by successfully completing all 4 BCS certifications below and passing a final oral assessment. Become an expert in defining and documenting business requirements following a best practice approach to ensure successful outcomes for your IT projects. Drive business improvement by enhancing your analysis, planning & strategic skills. Effectively identify business issues, opportunities, problems and solutions. For Business Analysts seeking Agile training, we recommend iSQI’s Certified Agile Business Analysis course. Directly mapped to the Agile Extension to the IIBA BABOK® Guide, this 2 day course provides an understanding of how to apply BA skills in an Agile environment. “The BCS Diploma is a great course for Business Analysts of all levels. I highly recommend it to both prospective and experienced BA’s who wish to study at their own pace. Undertaking this course is the best thing I’ve done for advancing my career as a BA. Despite being a BA for over 5 years, this course has helped to make me more structured, efficient and effective. The Diploma is very well structured and practical. I apply the learnings, tools and techniques from this course on a daily basis, and share these with my colleagues. I can confidently state that being certified (along with work experience) enabled me to perform extremely well during my BA job interviews and helped me land a great job within weeks after the completion of the course.